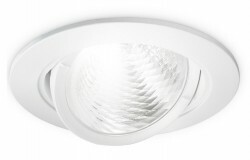 Philips LuxSpace Accent, Adjustable / Cardanic, 2000LM: With rising energy prices and growing awareness of environmental impact, customers are searching for more energy-efficient alternatives to light spaces and to save on operating costs – without sacrificing light quality, or having to reconfigure their ceilings. 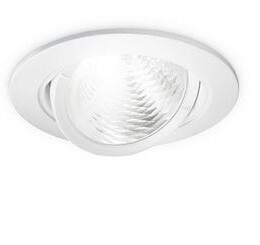 LuxSpace Accent features the latest LED technology, resulting in low power consumption comparable to CDM solutions, and delivers consistent light output, stable color performance and high colour rendering. 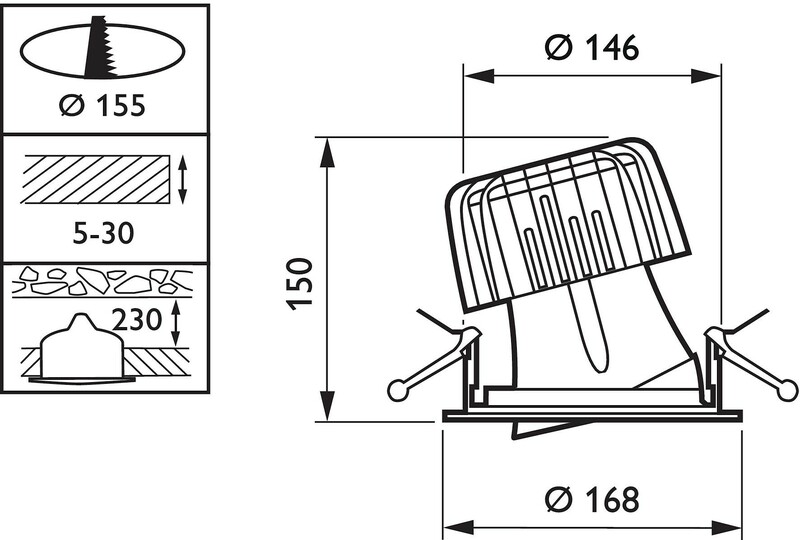 It is available in three versions – fixed, adjustable, elbow – for 150 mm cutouts. All offer a compact look and feel, and a perfect fit. They are very easy to install, and their long lifetime means an end to the hassle of relamping. In addition to the LuxSpace Accent for accent lighting applications, LuxSpace luminaires are also available for high-flux general lighting applications. Applications: Retail: fashion and food; Hotels (areas with high ceilings). 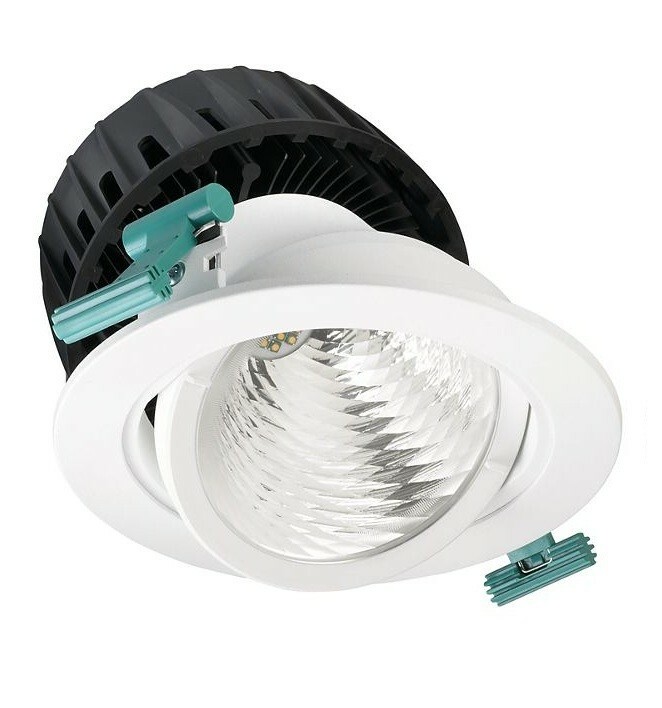 Benefits: High lumen package – maximum impact; High-quality accent light due to dedicated LED reflector system; Low maintenance costs thanks to long lifetime, and low energy consumption. Features: Glare control (reflector optic); Good color consistency and high color rendering; extra sparkle; Extremely long lifetime: more than four times longer than CDM lamps; Efficacy comparable with CDM and higher than halogen. Materials: Optic: plastic with aluminium coating; Housing: aluminum, steel; Front cover: acrylic. Installation: 150mm OD cut-out, plaster (board) ceiling; Fixation by means of spring fasteners, through-wiring possible; Push-in connector or with pull relief. External driver/power supply.